Will Gmail's New Look Affect Conversion Rates? Don't Panic. 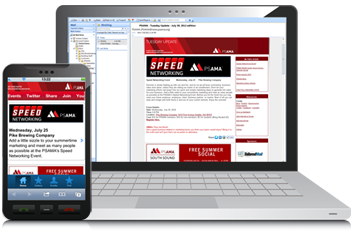 What is Mobile Email 'Apptimization'? You know who opens your emails on a mobile device. Now what? Are you being fair to your inactive subscribers? TailoredMail examined over 150 million emails, from 2000+ clients worldwide, between Aug '11 to Sep '12. The results are nothing short of astounding; mobile devices are changing the face of email marketing so fast that most marketers aren't even aware of the potential ramifications. If you have any questions, comments - please notify us at 1-425-451-4770. We'd love to have you see TailoredMail in action - a quick 30 minute demo and Q & A to see if TailoredMail can help you. Copyright 2013 TailoredMail. All rights reserved.